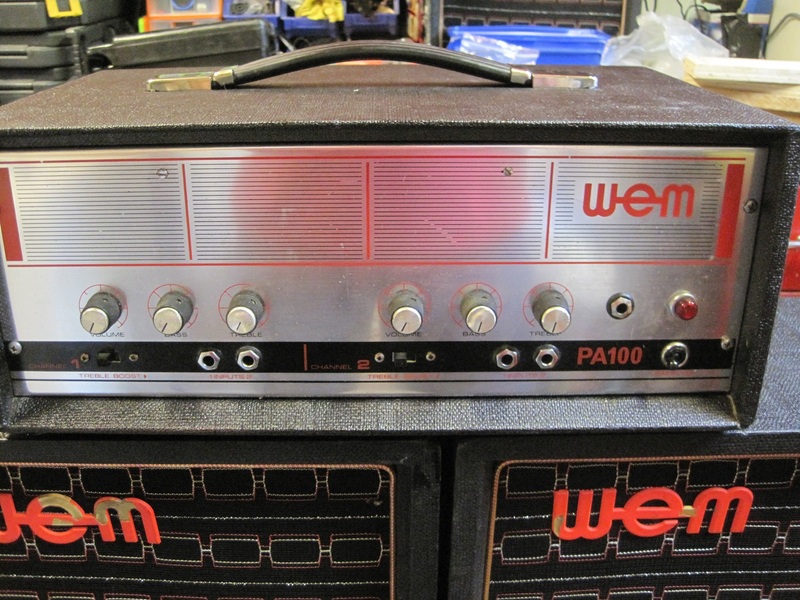 I’ve just added (Jan. 2016) a 2nd PA100 to my collection after doing some refurbishment. 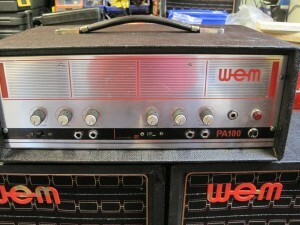 You can see some details and pics here – PA100 Refurb. 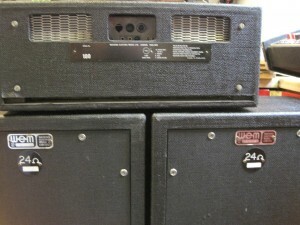 The PA100 and PA40 are the same apart from the power amp stage and the signage on the front panel. 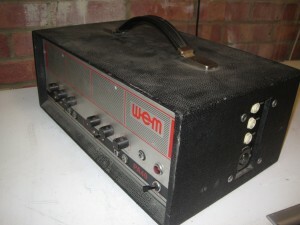 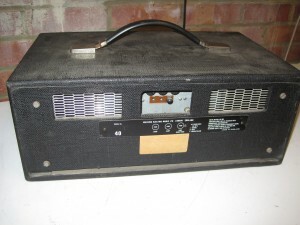 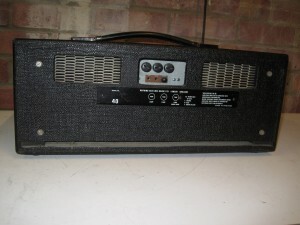 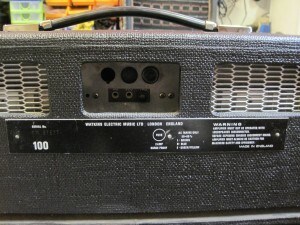 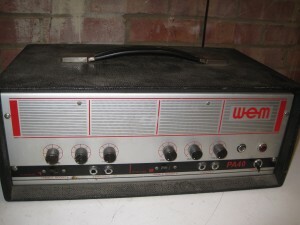 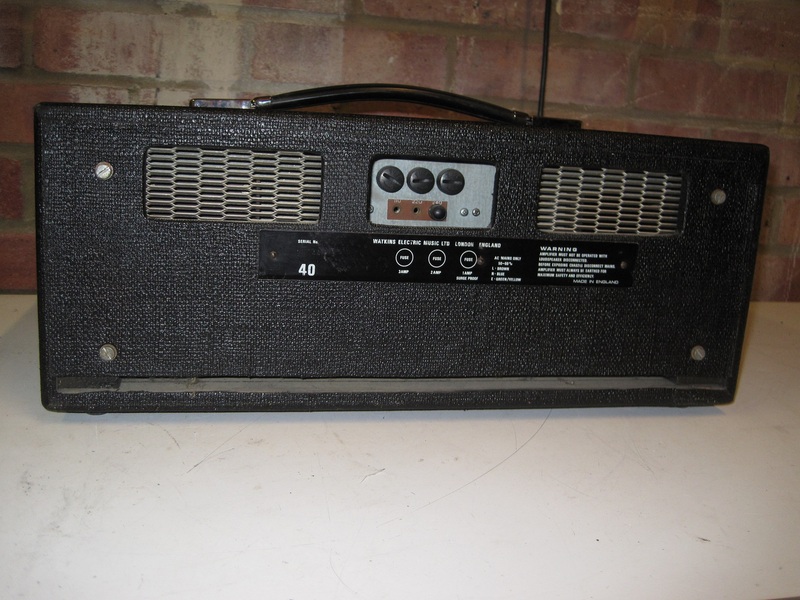 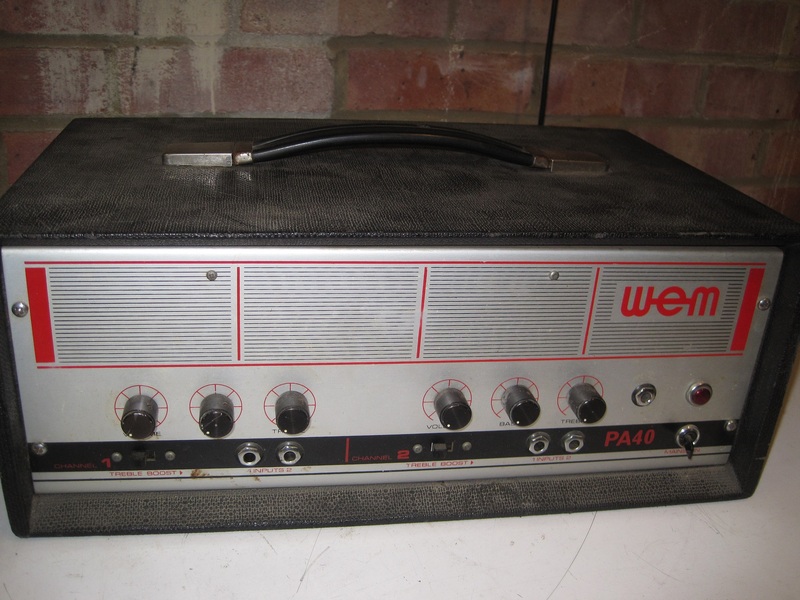 PA100 – This amp is identical in every respect to the ER100 apart from the lettering on the front. It uses the same power stage as most WEM 100 watt solid state amps and powered mixers and the same pre-amp stage as the PA40, ER40 and ER100. 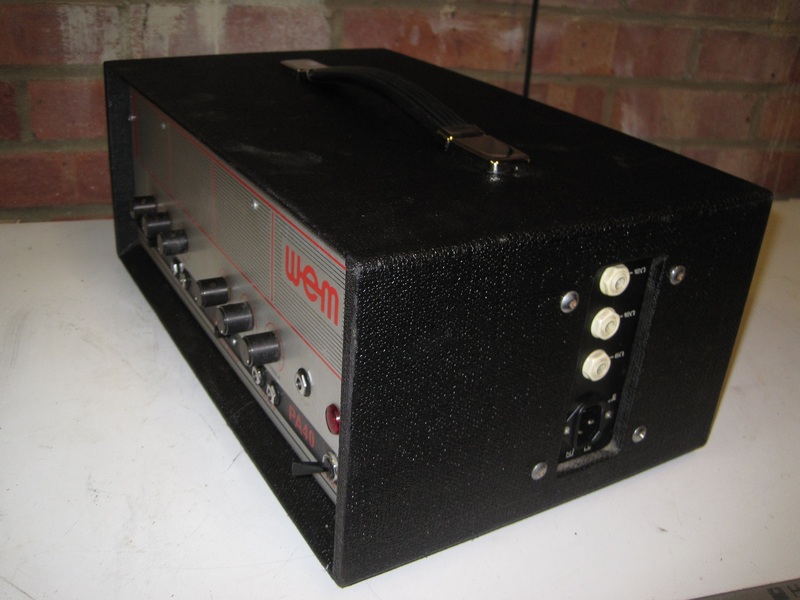 It’s a pretty basic amp (just the way I like it) with 2 channels and 2 inputs on each channel. 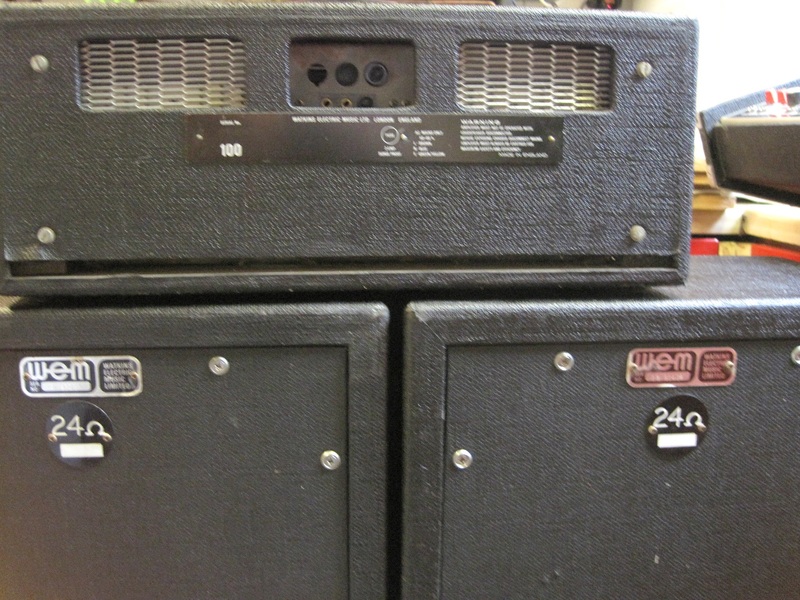 Nothing much more to say although there is a little more info on the ER range in the Amps for guitar page. 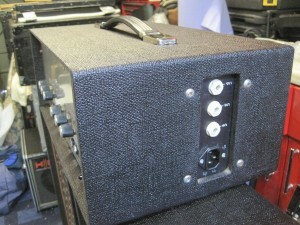 PA40 – The following pics show my PA40 before and after refurbishment. 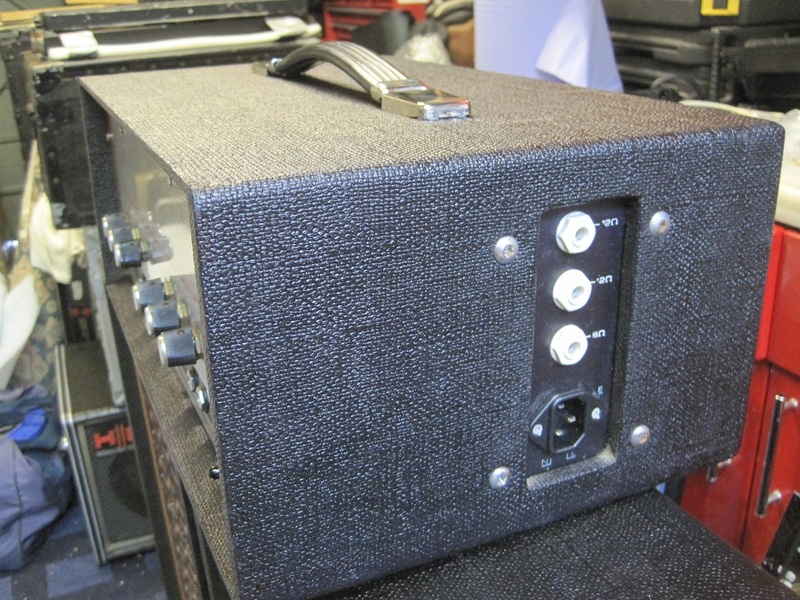 To refurbish it I fitted new feet and a new handle. 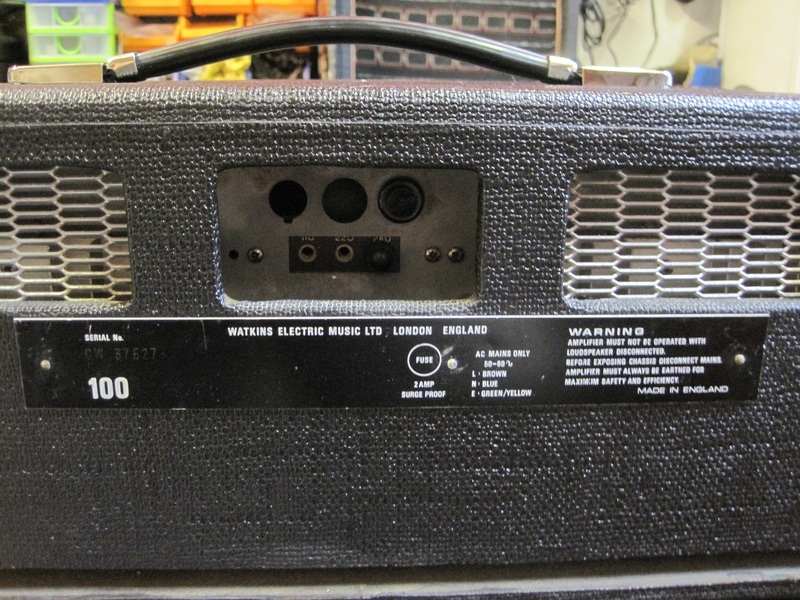 I also replaced the old Bulgin mains socket with an IEC mains socket (to meet current safety standards) and I replaced the mains neon indicator light as the original had stopped working. 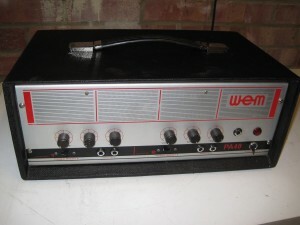 Then I gave it a good clean and polish.